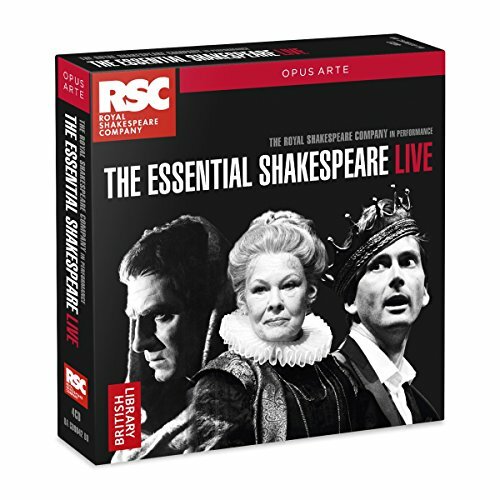 "A selection of over 40 scenes and speeches performed in live Royal Shakespeare Company productions from 1959 to the present day, chosen by Gregory Doran, Artistic Director of the RSC. "It's fascinating to listen to. You can hear the changes, across the decades, in how actors read their lines (more freely these days), and in how the audience reacts (more vocal now). You also get a sense of the glorious plasticity of Shakespeare's material, how much it can change in different hands... it's a great way into the magical world of the Sound Archive, in many ways the British Library's embassy to the world. "What a treasure trove these discs prove for lovers of Shakespare and great acting. In the new volume you can hear Paul Robeson''s magically voiced Othello, still sounding wonderfully fresh and sonorous 50 years on, and time travel through the decades right up to David Tennant''s Hamlet last year, with its magical mixture of sharp intelligence, humour, and depth of feeling. . . I cannot recommend them too highly to anyone who loves Shakespeare.